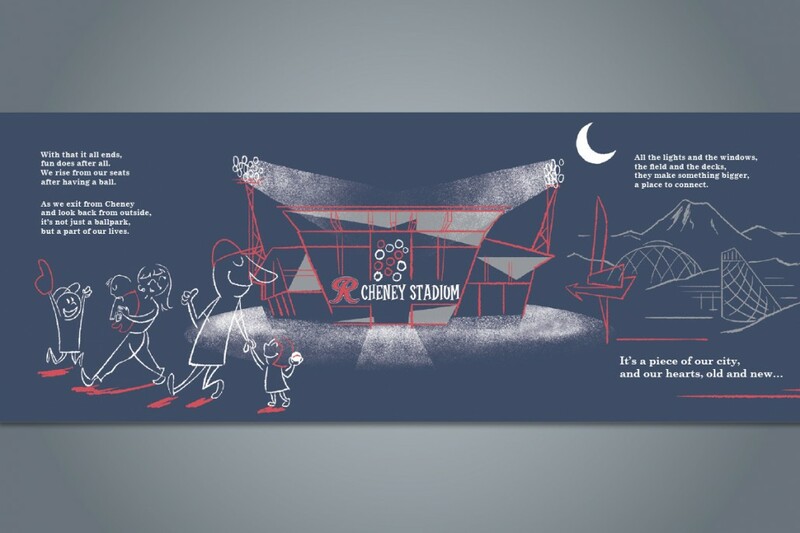 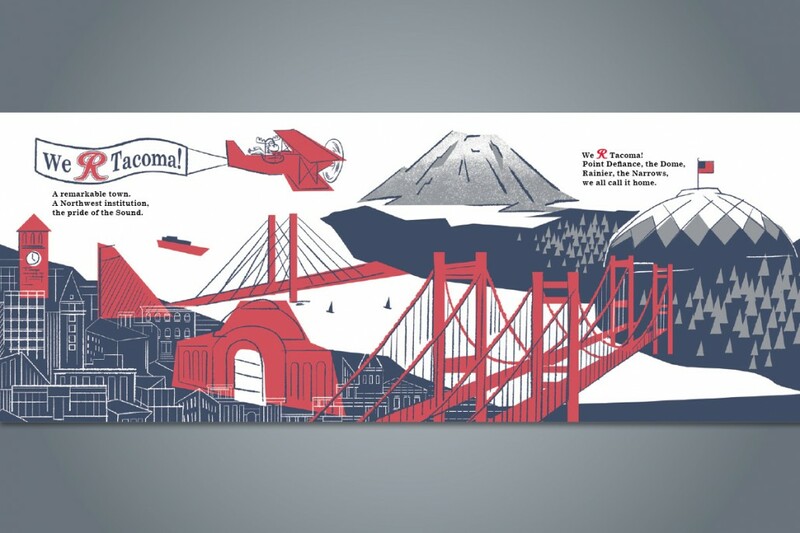 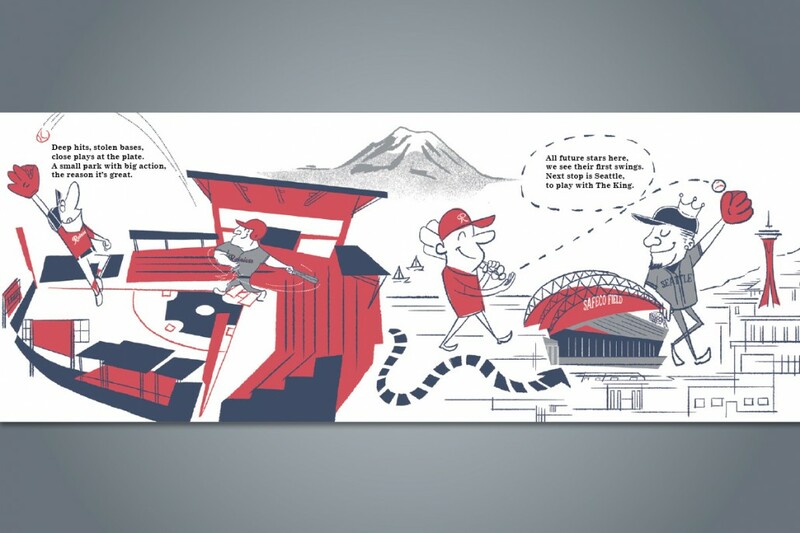 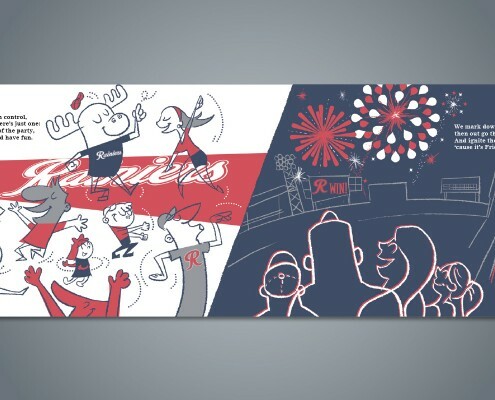 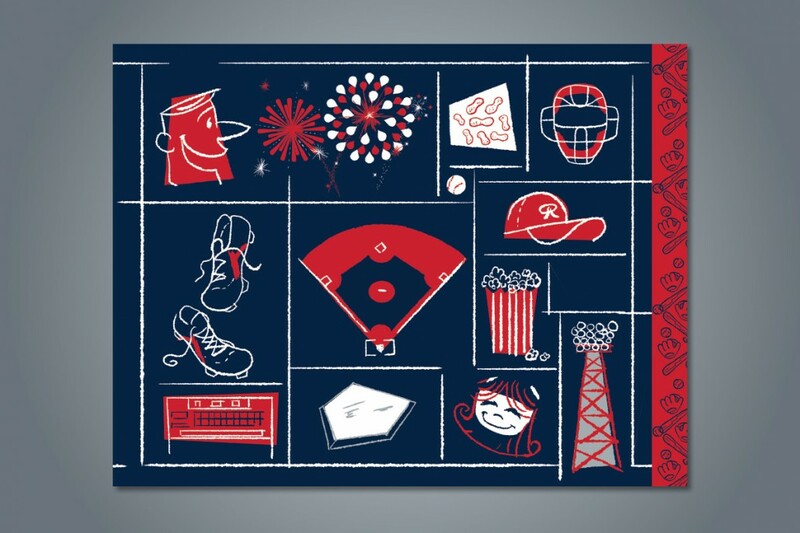 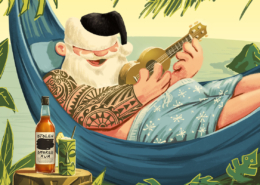 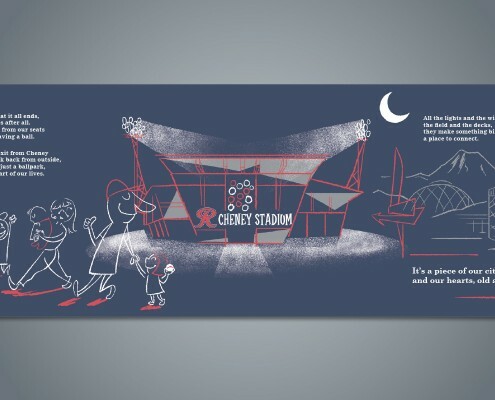 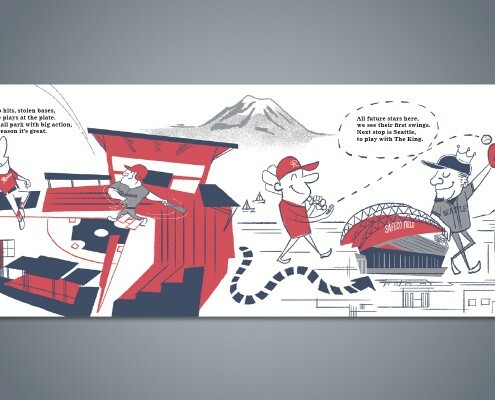 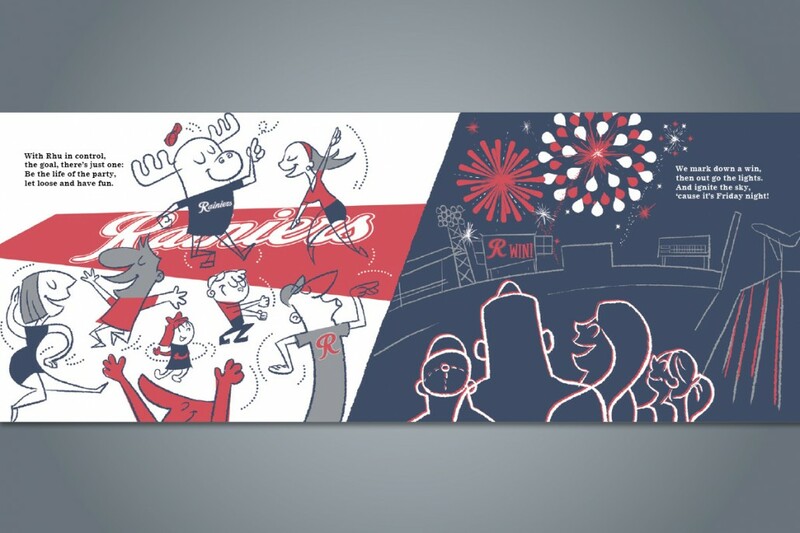 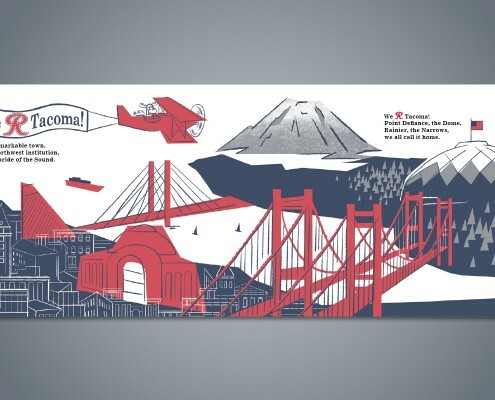 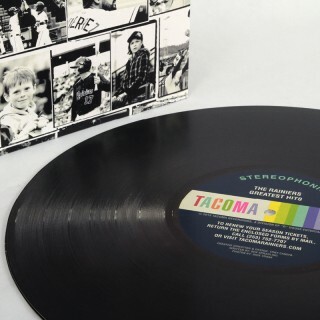 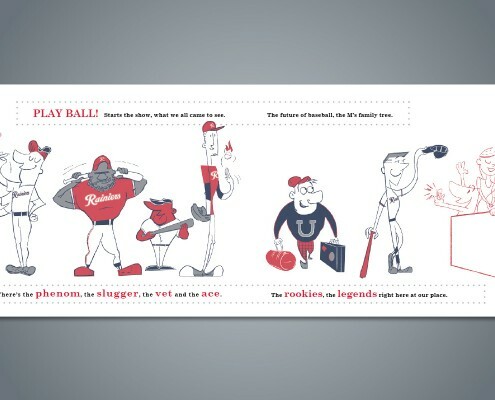 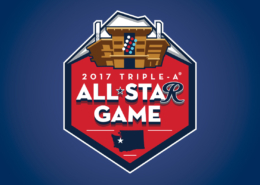 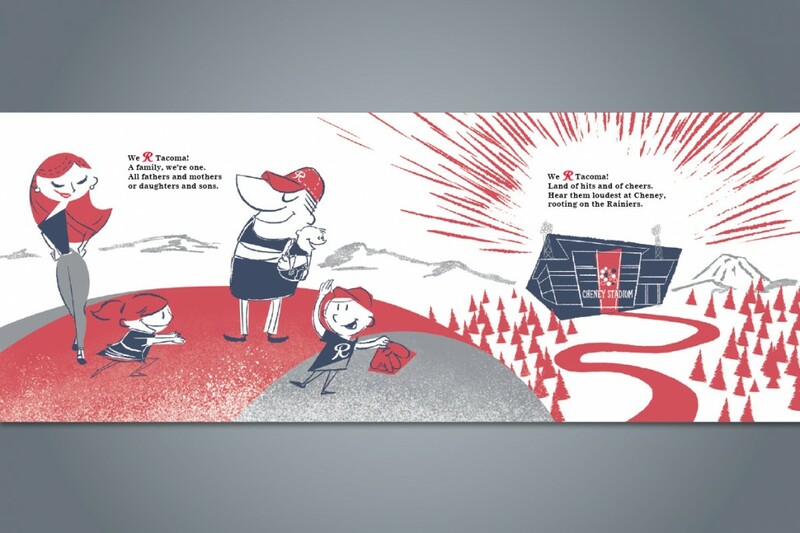 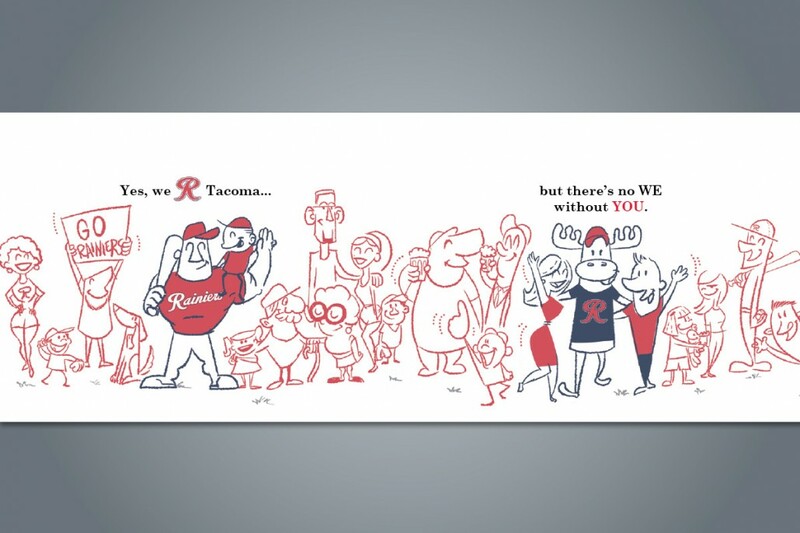 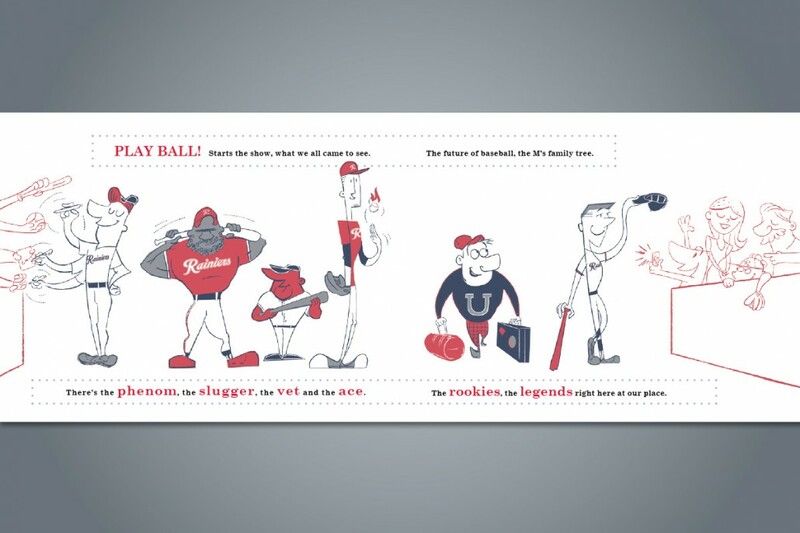 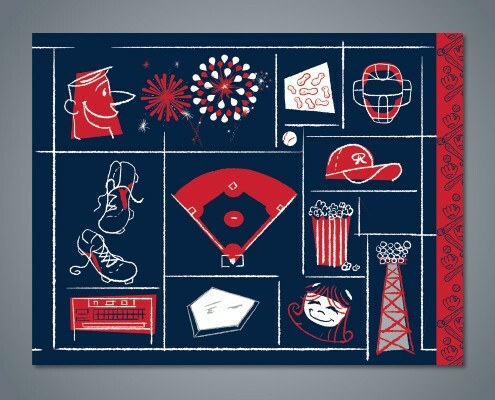 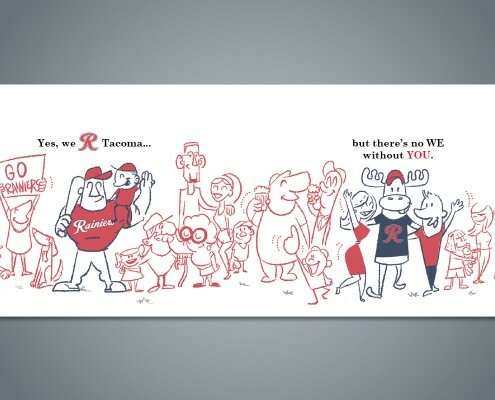 At the end of each season, the Rainiers send out a unique piece to each of their season ticket holders to remind them what a great time they had at the ballpark and to entice them to renew their season tickets for the following year. 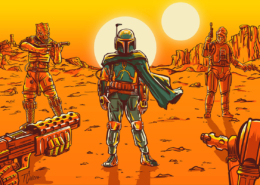 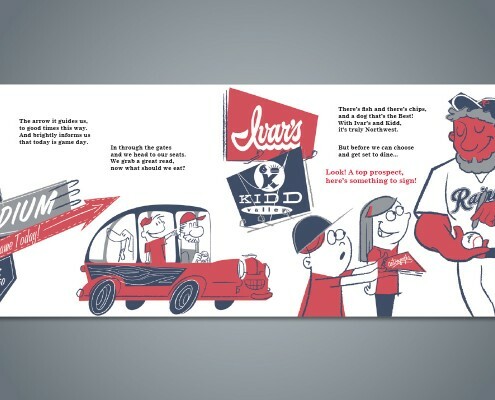 For the 2014 piece, I pitched a a classic children’s book that I would illustrate in a vintage “cartoon modern” style. 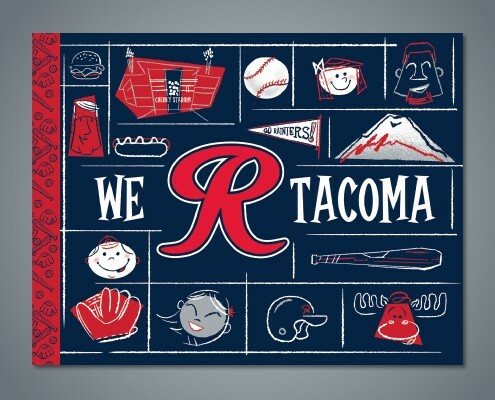 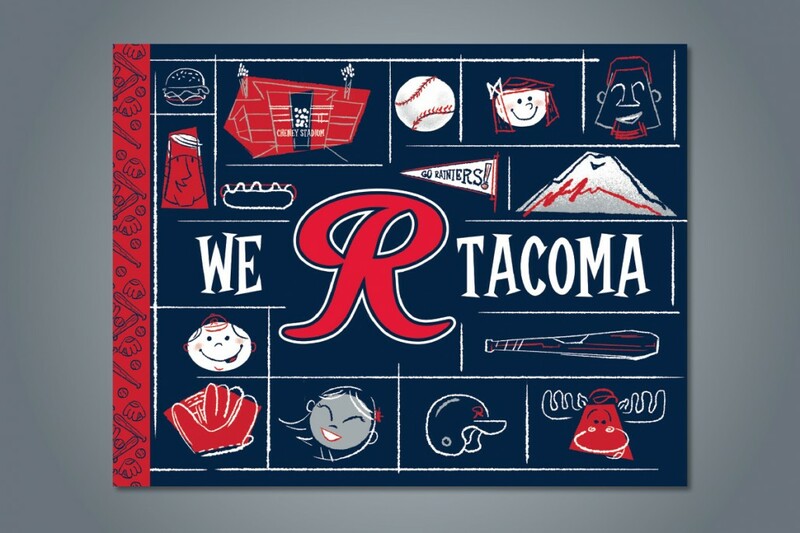 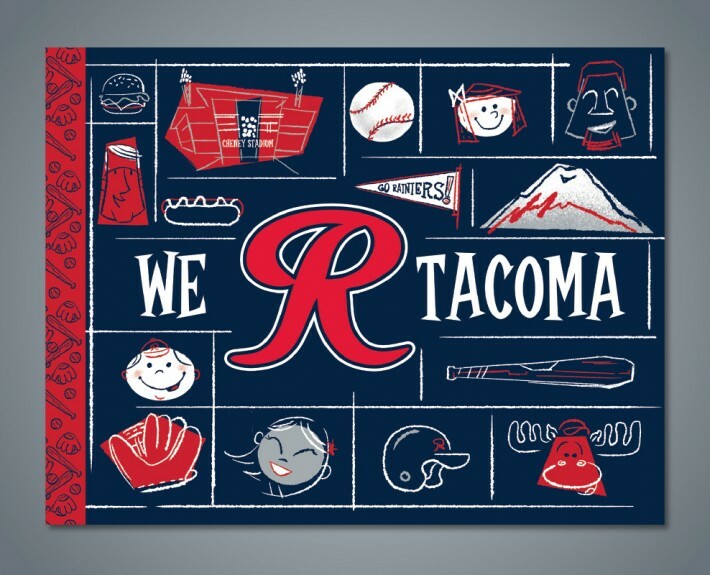 The phrase “We ‘R’ Tacoma” was taken from a T-shirt design I had created earlier in the season that had become one of our top sellers. 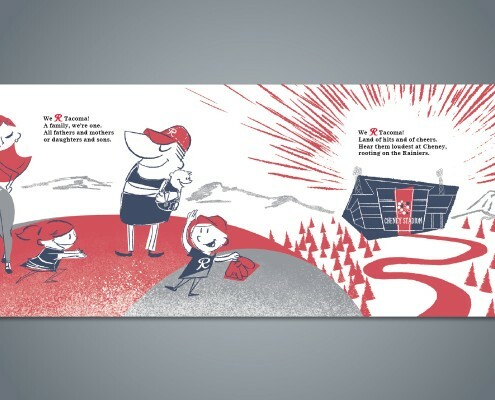 The rhyming verse would remind readers of the books they read as children and hopefully kids would enjoy the book simply at face value. 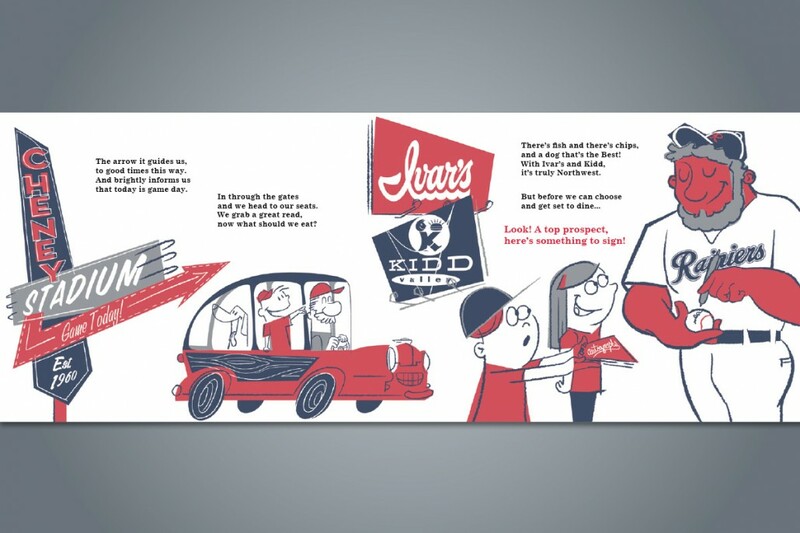 The interior pages were printed on a thick, textured, off-white stock to further add to the vintage feel.